One of his clients said: "He is a true dr dolittle . He loves all animals and animals love him. He goes out of his way to find the right treatment. He charges are minimal when u compare the treatment you get. We have been with him for many years and will be for many more"
Dr Heinrich is an amazing vet. He always goes above and beyond to help not only our lovely pets but he also takes time to educate owners and answer any questions they may have in detail. My dog loves seeing him, as he has great "patient" interaction skills. DR Heinrich Has such a great way of dealing with animals. His knowlege of all animals great and small is amazing. HE is such a genuine person and treats his patients as if they were his own. Our family loves Dr. HEINRICH! 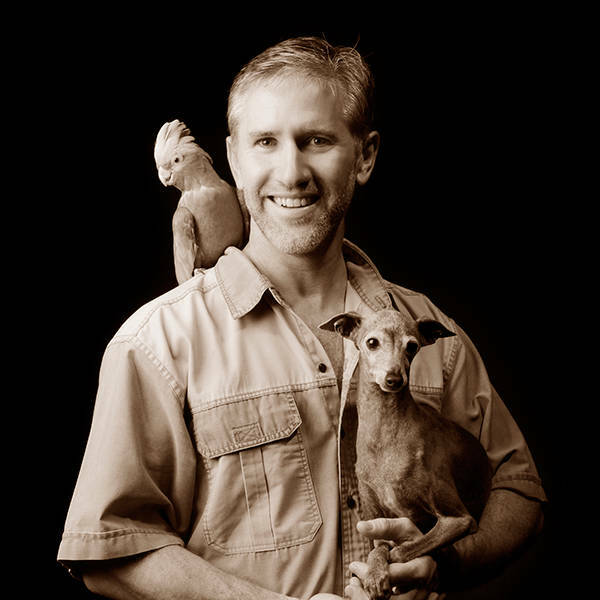 Dr Heinrich is a healer - a compassionate and caring man who devotes his life to the animal kingdom. His commitment to vet science, his incredible knowledge of wildlife and the amazing work he does for Native Ark in Bibra Lake in addition to running a successful practice speaks for itself. Dr Heinrichs calm, caring nature along with his lifetome of experience makes him an exceptional vet. We feel we can really trust his work and it makes the whole process for my boyz confortable. I am not sure I want him to win, because then he won't be available. We have known Heinrich for many years whilst he looked after our two precious dachshunds during their lifetime. His care and passion for animals is exceptional and we look forward to going back to Heinrich when we get our new dachshunds in the near future. I am a Veterinary nurse who is fortunate enough to work alongside Dr. Heinrich. His knowledge and experience regarding all types of native wildlife and small animals makes sure for an exciting day to day experience in the workplace. Heinrich is very charismatic with his clients, and patients too!